The exponential increasing number of foreigners registered in recent years in Italy, as well as of marriages between people of different citizenship, and as a consequence of divorces, has brought the attention to the Italian recognition of foreign decrees of non-litigious jurisdiction. While previously rulings of dissolution of matrimonial ties issued by foreign Tribunals and Courts became effective on the Italian territory after deliberation of the Court of Appeal (which recognized those rulings as valid through issuance of a decree subsequently recorded in the civil registry of the competent Municipality), today, compatibly with the principle of international movement of judicial proceedings, foreign decrees and proceedings, whenever they meet requirements envisaged by the law (Articles 64, 65 and 66 of Law 218/1995), are automatically recognized. It is for the Civil Registrar to establish the existence of unfailing requirements for transcription purposes. If the Civil Registrar does not consider existing those envisaged requirements for transcription of a foreign divorce decree or proceeding, the Registrar will withhold the performance and transmit the files to the Public Prosecutor. The Prosecutor may issue an opinion endorsing the transcription (in this case the Civil Registrar will record the decree while serving notification on the party concerned), or denying the request of recognition (in this case the Civil Registrar will serve notification of decision of refusal on the party concerned by denoting reasons and advising on the possibility to bring the matter before the competent Court of Appeal in order to submit a request for checking if recognition requirements are met). The request of transcription must be submitted to the Civil Registrar of the Municipality whose registry the marriage has been recorded in, personally by the party concerned, through the Italian consular Authority or through a lawyer with special power of attorney. Arrangements differ in terms of ecclesiastical judgments with regard to annulment of marriages, since they are issued by a foreign State, as in the case of the Vatican City State, they must be subject of enforceability by the Court of Appeal. In this latter case, the Civil Registrar will not automatically recognize the ecclesiastical judgment by transcribing it directly in the Civil registry, but the Registrar will record the decree issued by the Court of Appeal by means of which the ecclesiastical judgment will be recognized effective on the Italian territory. The Civil Registrar, who records the foreign divorce decree by transcribing it in the margin of the marriage certificate, will notify on behalf of each spouse both the Register Office of the Municipality of residence for modification of civil status from married to single, and the Municipality of birth for the transcription. - the divorce certificate has been received in full-form. - the decree provisions do not produce any effect contrary to the Italian public policy. In regard to transcription of foreign divorce decrees issued in a European Union Country, the arrangement in Regulation EC 2201 of 27 November 2003 is implemented. The Civil Registrar will receive from the judicial Authority or the competent Authority of the Member State in which the divorce decree has been issued, together with the request of the party concerned, a certificate drafted utilizing a numerical coding system, which does not need any translation or legalization. The party concerned will submit a statement in lieu of notary deed stating that between the parties and for the same reason, a judgment given in a proceeding between the same parties in the required Member State or a prior judgment concerning the same parties given in another Member State or in a third country does not exist. 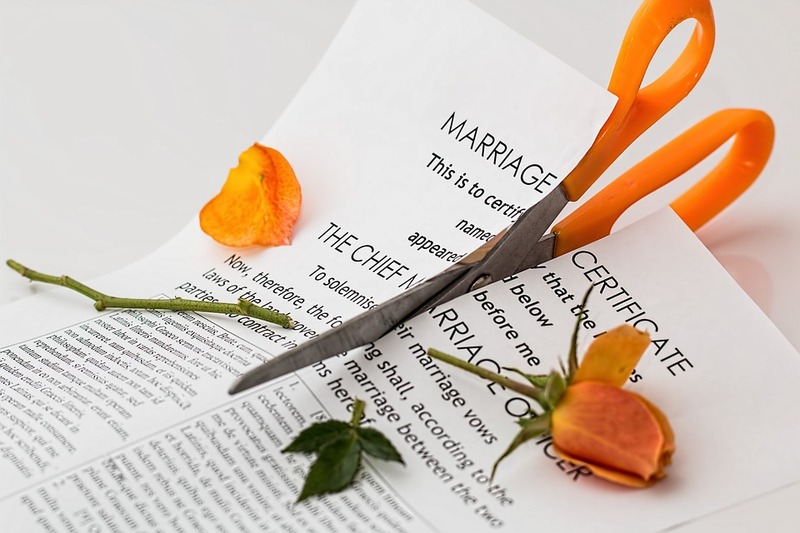 The Regulation EC 2201/2003 is applicable to transcription of divorce and separation decrees whose proceeding started after 1 March 2005, and also to those ones on-going on that date, provided that they started after 10 March 2001, date on which the previous Regulation EC 1347/2000 became effective. The transcription of an Italian citizen's divorce given by a foreign court of a country which is not part of the European Union, or in Denmark, and also those issued BEFORE 1 March 2001 in the European Community Countries require the Civil Registrar to examine the divorce decree for verification of requirements in accordance with Articles 64 et seq of Law 218/1995. - statement in lieu of notary deed in accordance with Article 47 of Law 445/2000 stating that a judgment between the same parties and for the same reason has not been pronounced by the Italian Judge and that no proceeding is pending in Italy prior to the foreign one. Do you wish to receive assistance in Italy for transcription procedure of a foreign divorce decree? Contact us.